The 7807 fogger, hose and wand is an ideal tool for the application of biocides, disinfectants and antimicrobials. 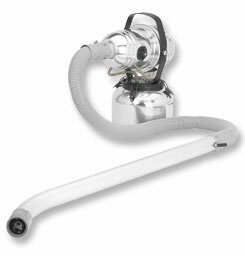 This item features a hose and 16″ wand for on-target output or spot fogging, and a one-turn valve to adjust droplet size. The powerful blower discharges 30 cubic/feet per minute. The 7807 fogger, hose and wand is an ideal tool for the application of biocides, disinfectants and antimicrobials. This item features a hose and 16" wand for on-target output or spot fogging, and a one-turn valve to adjust droplet size. The powerful blower discharges 30 cubic/feet per minute.